As Petrik Pyatochkin Counted Elephants (Як Петрик П’яточкін слоників рахував) is a short animated film in Ukrainian. It was created in 1984 and runs about 10 minutes. It’s one of the few films that Kyivnaukfilm (Київнаукфільм), the Ukrainian/Soviet animation studio, produced in Ukrainian rather than Russian. Petrik is one of the most beloved of Ukrainian cartoons. It tells the story of a rambunctious, naughty young boy, the eponymous Petrik. He’s particularly disruptive at school, where his teachers are trying to teach him to become a good Soviet citizen. One night, he dreams that he has become a teacher of elephants in Africa. The experience teaches him a lesson, and from then on he is perfectly well-behaved. The film has been interpreted as being about totalitarian’s fight against dissent, with Petrik playing the part of a dissident in a totalitarian society or of an individual freethinker whose selfhood is broken through the pressures of ideology. Of course, other people (i.e., children) have interpreted it much more simply—as a cute, simple cartoon. 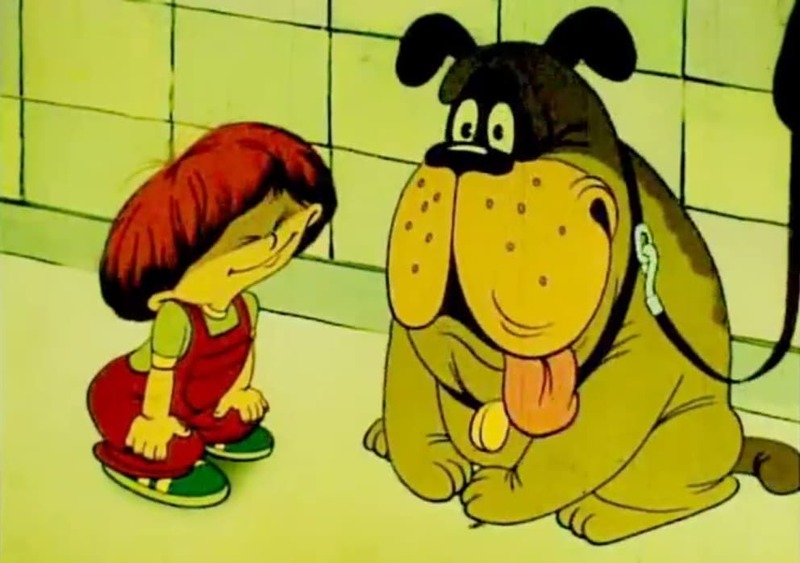 The cartoon’s attempt to be educational and model proper behavior is also not out of the ordinary, either in Soviet or contemporary Russian and Ukrainian cartoons. The film’s director, Oleksandr Viken (Олександр Вікен), is one of Ukraine’s most lauded animators. He is also responsible for several episodes of Cossacks (Козаки) and many other cartoons based on Ukrainian folklore. 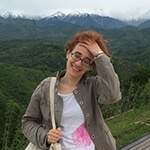 The screenwriter, Natalya Guzeeva (Наталя Гузєєва), also wrote many other cartoons and has published many children’s books in both Ukrainian and Russian, among them several books continuing the adventures of Petrik.